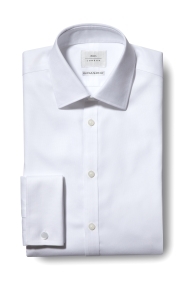 A white shirt that’s made for both style and convenience. This will be one of the handiest items you own. It will go with anything and the zero-iron finish will use your body heat to stay crease free all day. As a double cuff, it has a formal look, and the extra slim fit will sit close to your frame so you can wear it with your sharpest suits. 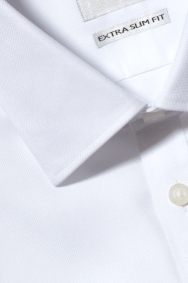 Wear this shirt with any suit that’s cut in a slim or skinny fit. And don’t forget your cufflinks.